Parque de la Alameda, Santiago de Compostela. “Risoterapia” (laughter therapy) with 2nd and 3rd graders. 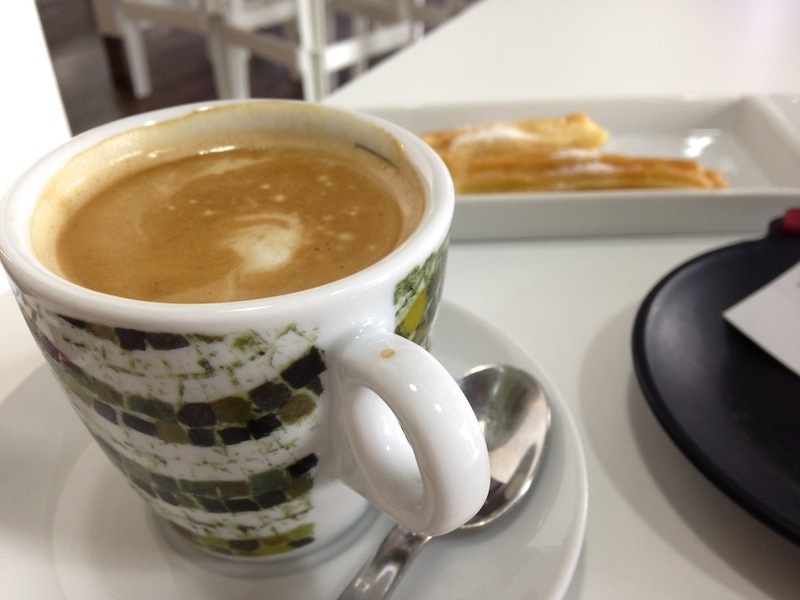 New café discovery: Pan e Chocolate, Santiago de Compostela. Don’t ask me where “Weeks 4-13” are…seek and ye will not find. 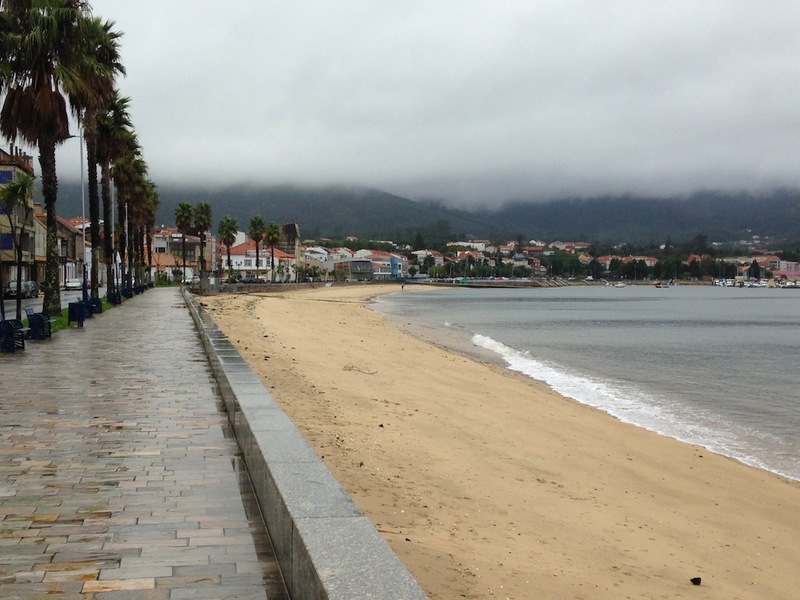 We’re now running on 43 straight days of rain here in Galicia…not that I can complain from what I hear about the weather back home. But I’m pretty sure I’m not leaving my bed today. Rúa San Pedro, the lovely street a minute’s walk from my piso. So last week I moved to Santiago, right? I found a cheap apartment with two nice female Spanish college students in the older (prettier) part of town. As it turns out, these three positive qualities (price, roommates, and location) have been overshadowed by the true heinousness of the apartment. After a week here, I have come to terms with my own stupidity in housing selection, and have come up with seven rules to keep from making the same mistakes again. 1. Because the roommates call you “chulo” (cool) for being American and that makes you feel warm and fuzzy because you don’t have friends yet. 2. If you have only toured the apartment at night. Those shadows in the corner/behind the desk/around the window might be are assuredly mold. 3. If you there are so many spots in the wall that it is hard to tell at a glance which ones are holes and which ones are mold. 4. If the hot water is powered by a gas tank that you have to manually switch on before you shower. On Sunday, you will run out and the landlord won’t be able to bring more until Tuesday because Spain, and the last time you showered will have been on Saturday, and you will have to start taking sponge baths seventy years prematurely. 5. If the apartment does not have heating, and also does not have the ability to both run a heater and charge a laptop at the same time. 6. If the statement “yes, we have wifi” is followed by an explanation that includes the words “descodificar” (to decode) and “de nuestro vecino” (our neighbor’s). 7. If you cannot bend over the sink to brush your teeth without entering the shower. Having learned these seven very valuable lessons, I feel both ill and well-prepared to begin round two of apartment hunting. Wish me luck! Preparing labels for art classes in English. Cathedral of Santiago de Compostela, as seen during my furious apartment hunting. In the beginning, there was a plane, and on the plane was Molly. 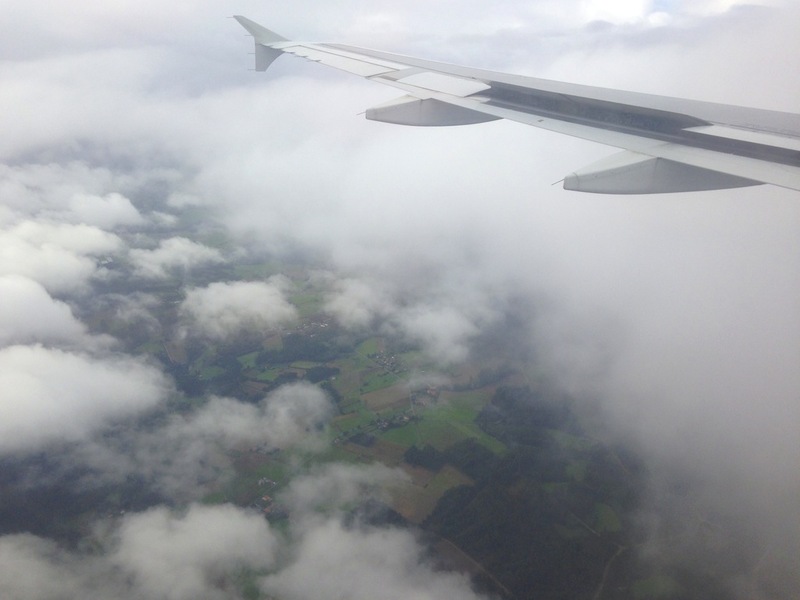 After 17 hours of flying (Atlanta – Miami – Madrid – Santiago – oh my), I finally arrived in Galicia. I could tell the difference between Galicia and central Spain just by looking out the window. While the land surrounding Madrid was craggy and brown, the Galician countryside was a rolling patchwork of green. Montse, the English teacher at my school, picked me up from the airport in Santiago, carrying a sign the students had made. Needless to say, I felt quite welcomed. Montse has been an absolute blessing, driving me around to pick a cell phone plan, get my foreign documents in order, and open a Spanish bank account. Presently, I am staying with two auxiliars (that is, English Language Assistants like me) in A Pobra, which is where Montse lives and a 10-minute drive from school. They have an extra bedroom and are kind enough to let me use their apartment as home base while I figure out where to live. A Pobra is obscenely picturesque. I will leave you with the following view. This is what you see if you exit the apartment building and walk for about 30 seconds. Playa del Arenal, A Pobra do Caramiñal. There is so much to tell, but that will have to wait. I am still bustling around, trying to figure out which city to live in. 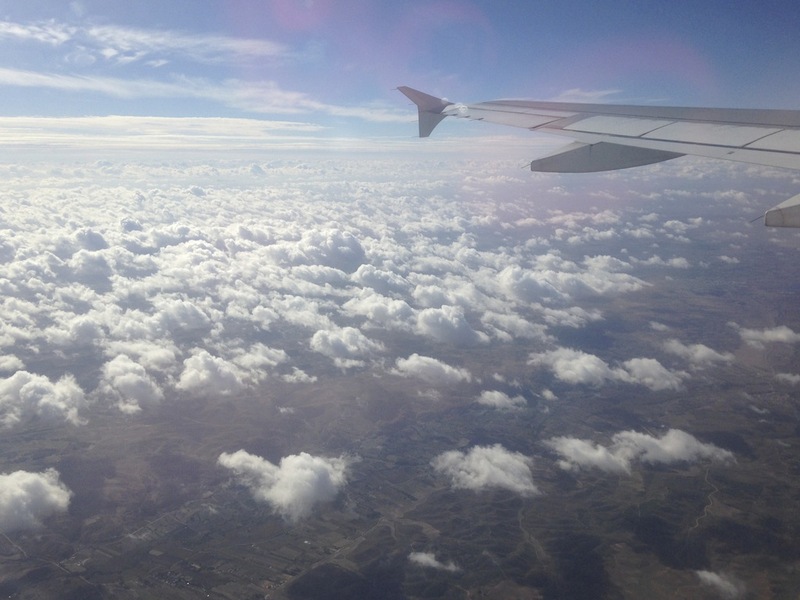 Right now, I am on my way to Santiago to meet with a potential roommate. I am currently crashing in a small town (absolutely precious) with two other auxiliares. However, they do not yet have internet, which means we must patronize the cafe-pizzeria a 45-second walk away to get wifi. 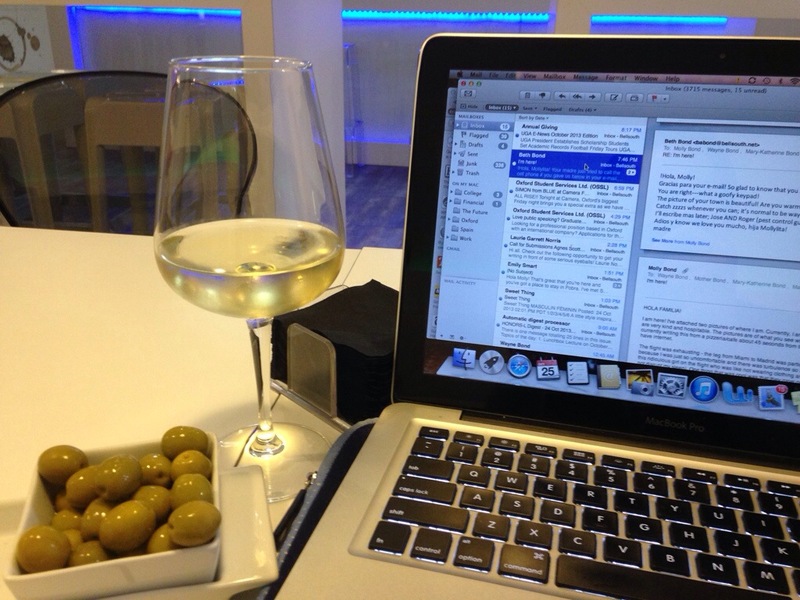 This is not a terrible thing to have to do, unless you count the fact olives are served with my wine (olives are always a terrible thing). The important things to know for now are (1) Galicia is gorgeous, (2) buses are nauseating, and (3) olives are repugnant. Last week I went to Miami to apply for my visa, and I must say it was one of the least fulfilling trips I have ever taken. I do not, however, blame this on Miami. I arguably wasn’t even in Miami, but the district of Coral Gables (where the Spanish Consulate is). Coral Gables’ only attraction within walking distance of my hotel was Miracle Mile, a road of nice-enough shops capped off with a Denny’s. I did not even set foot on a beach. The only time I saw water was when it was being leached from my skin by the heat. The good news is that my visa appointment went off without a hitch – ten minutes from start to finish. But do you know how irritating it is to spend a few hundred dollars to fly to a city for the sole purpose of handing someone ten pieces of paper? Very. Irritating. Anyway. What’s done is done. 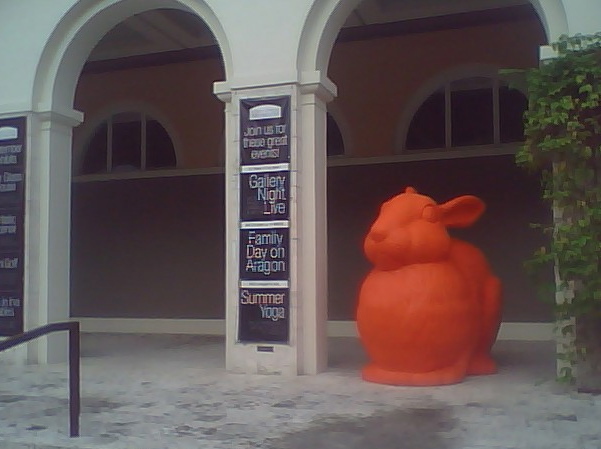 The three highlights of my stay were seeing this orange rabbit (a reminder to us all of dangers of GMO carrots), passing a store called Coral Gables Juice Bar & Muscle Pizza (??? ), and visiting Books & Books, which, coincidentally, is not a part of Miracle Mile and (not coincidentally) wonderful. Now I am a lady in waiting. Visa visa come to me! You guys. YOU GUYS. I’m moving to Spain! 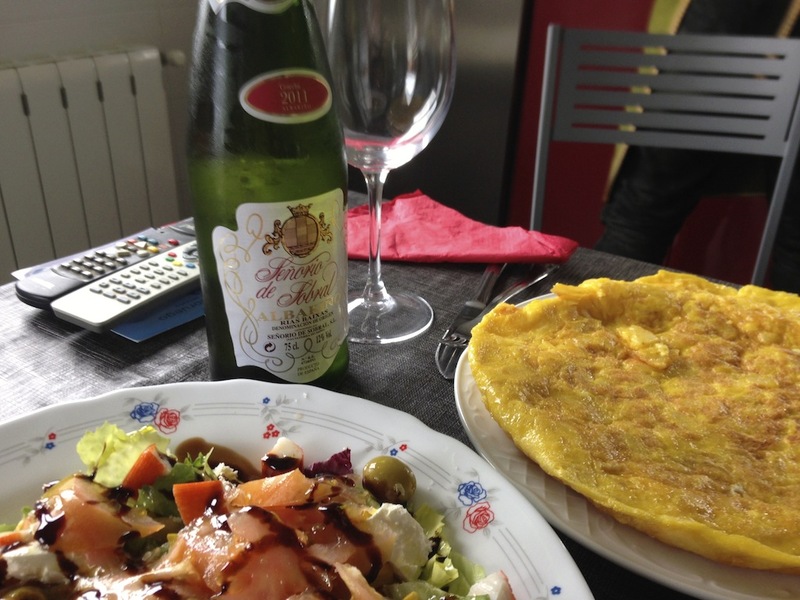 Galicia, Spain: my home for the next eight-ish months. I’ve been dying to be able to talk about my future with any kind of certainty, and now I can. Back in July, I was accepted to the North American Language and Culture Assistant Program (NALCAP – Auxiliares de Conversación), but heard nothing else for NINE WEEKS. Nine weeks! 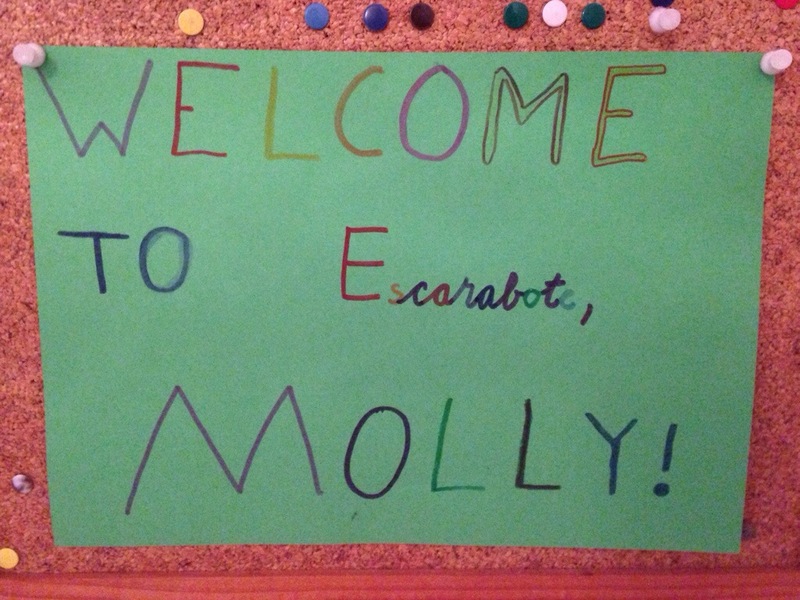 Last week, after placing a few international calls, I finally received my placement at an elementary school in the province of A Coruña, Galicia. It turns out Bellsouth has xenophobia and was blocking – not spamming, simply blocking – all the emails the Ministry of Education tried to send me. Who says technology doesn’t discriminate? As you can see, Galicia is in a rather remote corner of Spain. Unless you’ve taken Spanish (and even if you have), you probably haven’t heard of it. When tourists hit up Spain, they gravitate towards the sunny beaches of Barcelona and Andalucía in the south. However, I have heard an abundance of wonderful things about Galicia, namely its rugged lushness, friendly inhabitants, and fresh seafood. It’ll be exciting to get off the beaten path! Get a feel for teaching. I have graduated from college and, to no one’s surprise, have no idea what to do with my future. I may want to teach as a profession at some point, but not immediately. Time to try on the Teacher Hat and see if it’s for me. Achieve fluency in Spanish. As a graduated Spanish major, you would expect me to be able to speak the language, right? How very presumptuous of you! No, I speak elevated Stutter Spanish, but nothing respectable. Indulge my wanderlust. I am not delusional enough to believe I can satiate it, because ohmygosh there is so much to see in the world, but I am so excited to get out and explore. OHMYGOSH THERE IS SO MUCH TO SEE IN THE WORLD.